In Czechoslovakia’s history, their armored vehicle industry production was considered as one of the fastest in the world, but not well known by the rest of the world at the time. It was the first year post-war, when the Czechoslovakia Defense Security led the work on the creation of their own armored vehicles and weapons based on their experience gathered during the German occupation for their tests and new developments. Most of the development projects were very interesting & useful-looking to begin production with, but for particular reasons, including economic and political nature, they couldn’t start a series production, not even reaching the prototype stage. Nevertheless, they represented an important aspect for the future armored vehicle engineering. It’s worth noting, that tanks and self-propelled guns developed in Czechoslovakia were quite advanced than most of their neighbor countries at the time, but obviously still far below than the other countries known for their higher quality of armored vehicle industry production, such as United States of America, Great Britain, and the Soviet Union. As a result, returning its former glory as one of the leading power of the most advanced armored vehicle production failed, although that didn’t prevent Czechoslovakia to regain its status as one of the leading exporters of arms and military equipments. Currently, the only source of information available regarding post-war Czechoslovakian military industry is the book created by Martin Dubanek. His book is dedicated to the Czechoslovakian arms and military equipment ranging from 1945-1955. Unfortunately, the book had a lot of factual errors, including the history of Czechoslovakia’s future tanks. 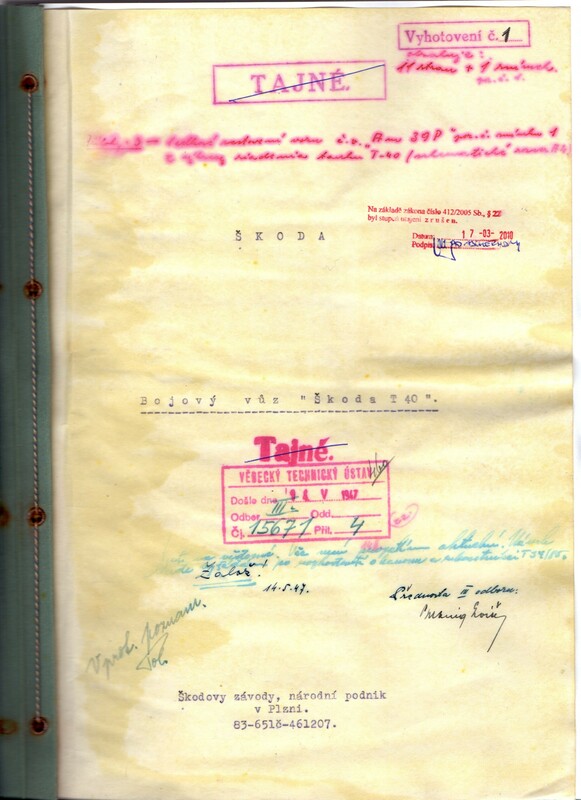 But thanks to the work of Yuri Tintery (Jiří Tintěra), one of the leading Czech historians, some of these errors were able to be fixed to make it as precise as the history record. One of the errors was very terrible, involving the tanks from the TVP tank series (Czech for Tank Všeobecného Použití / Main Battle Tank). Work on this project begun in October 1945 and lasted until 1952. As a result, instead of a series of original TVP tanks, the T-34-85 was listed as the first series of the (production) line, and then the T-54. However, the middle part of this TVP development had been quite corrected. But again, there were particular reasons that made it impossible to put in service. In the meanwhile, TVP tank series provided from Martin Dubanek’s book included a tank that actually participated in a competing project. TVP project was developed by VTU (Vojenský Technický Ústav), and the tank that was attributed to the one of the TVP tank series, in fact, had a T-index in front of the Number 40, and was also developed by Škoda, also known as the Škoda T 40 project. 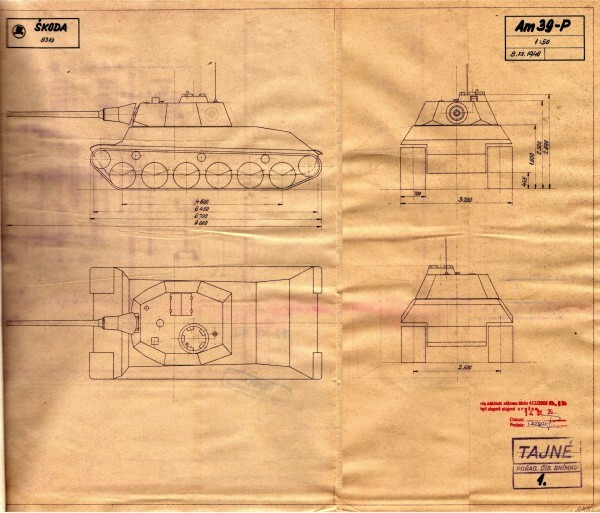 Design-wise, the TVP and T 40 were identical in many aspects, including their frontal hull shape and characteristics, tank treads with 6 road wheels and 3 return rollers for each side. But it was not for long, when both tanks were proposed to mount a tandem installation (meaning bi-mount) of a main gun and flamethrower, which Škoda engineers refused. Also, both tanks used different types of suspensions, where TVP used a leaf spring suspension while T 40 used a torsion bar suspension. Furthermore, the TVP project and its schematics raised many questions among the engineers, while the Škoda T 40 project was deemed sufficient. Moreover, the tank was also identical with the previous Czechoslovakian tanks. The power plant specifications of the TVP development required it to achieve enough power-to-weight ratio at 20 hp/ton, in the meanwhile the Škoda engineers have managed to find a way to solve this: an X-shaped air-cooler diesel Škoda 16ADH140 700 hp engine running at 2000 RPM. the TVP had a combat weight at about 33 tons, while the T 40 had a more heavier combat weight at exactly 40 tons, coincidentally matched with the Škoda’s tank designation number. The required power plant specifications of the tank’s power-to-weight ratio was supposedly enough for speeds designed up to 50 km/h. 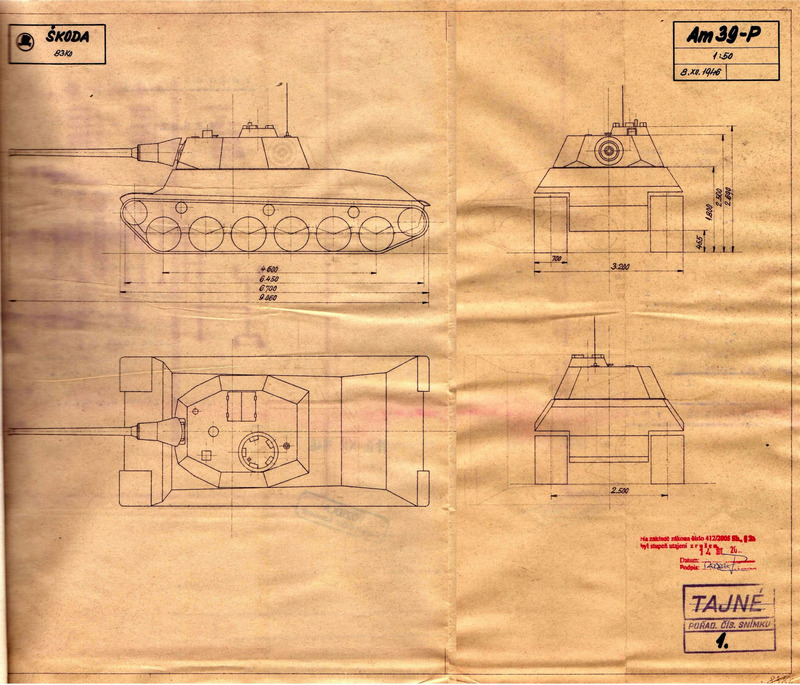 Although, the biggest difference from both tanks was their turret design. 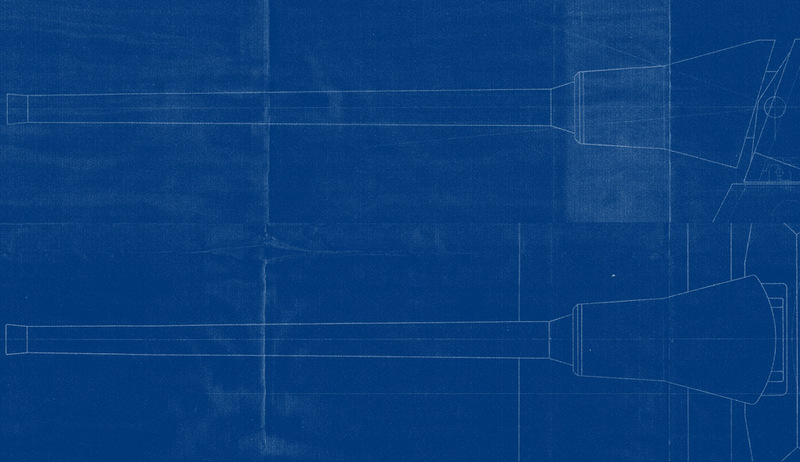 The VTU turret schematic designed for the TVP was quite complex, with curved sides, a V-shaped frontal turret, and a narrow gun mantlet adopted from the Krupp Schmalturm turret schematics for the 8.8 cm L/71 gun mount. Ironically, as early as February 1946, it was the same gun to be installed on the TVP (it was designated as 8.8 cm k.p.l.vz.41). As for Škoda, their engineers offered a more advanced turret schematic, which was also similar with the more successful combinations of Krupp turret designs. This is normal though, especially given the fact that Škoda even managed to build some of the Tiger II’s turrets, and was actively working with a number of German defense plants and design bureaus at the time. The gun mantlet was also adopted from the Krupp Schmalturm turret, just like the TVP design. As for the weapon, T 40 used a 8.8 cm L/56, or to be exact, the German 8.8 cm KwK 36 L/56 without a muzzle brake, and the coaxial machine gun was a ZB-37 Czechoslovak machine gun. Overall, the base turret design was native to German design engineering. In general, the engineers at Škoda developed a thoroughly modern design, which had only one drawback – it was inadequate for the time (Soviet occupation and such). In comparison with a T-34-85, it has less armor than the Soviet counterpart. The tank is not a copy of German or Soviet tanks, but instead the Škoda has its own style. Amazing! Where was this sourced from?